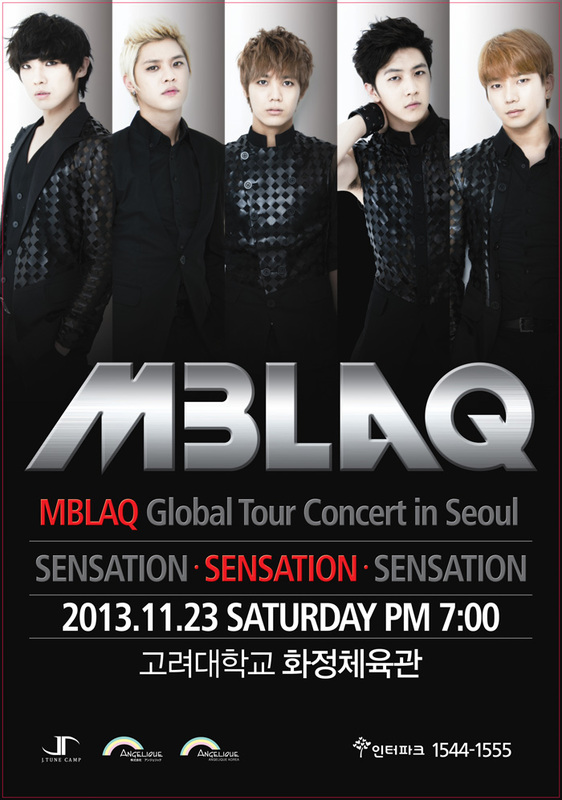 As many of you already know, MBLAQ will be holding their 3rd concert in Seoul on 23rd November 2-13. 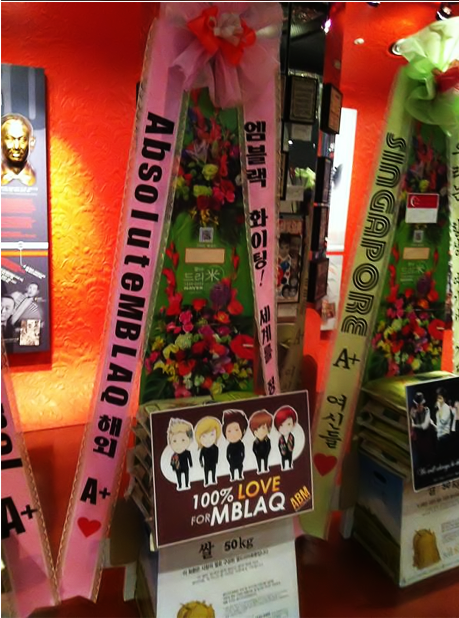 Like for their previous concerts and events, AbsoluteMBLAQ would like to send a rice wreath for them. This would mean we require donations. We hope each and everyone of you will be able to contribute what little you can to this support project. Like the above, we would like to represent all the International A+ in the world. We plan to get them a rice wreath with 100kg of rice donation and some other stuff for them as a form of support. The rice collected will then be donated to the needy. By showing support for MBLAQ, you will also be doing a good deed. What better way to support MBLAQ. So contribute! Contribute any amount you are comfortable with. Nothing is too little. Given that the concert is on 23rd of November, there is very little time left to plan. Send any amount via paypal to chooxyooj@gmail.com to donate towards the rice wreath. For any other options of donation, you may wish to email us at absolutemblaqprojects@gmail.com. The more the funds we collect from you, the more the amount of rice we are able to donate on behalf of MBLAQ. Do not hesitate! Donate what you can! Leave comments below or email us if you have any queries. Thank you to all the donators for the rice wreath. Due to unforeseen circumstances, rice wreaths were not accepted for this concert. However, we still wanted to donate to a good cause. Nothing seemed as crucial and relevant except the recent tragedy in the Philippines. 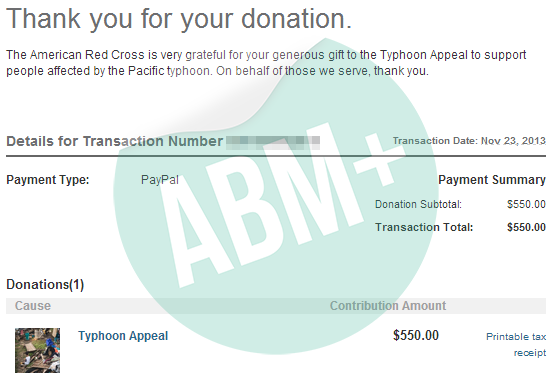 Therefore, the amount was donated to Red Cross’ Typhoon Haiyan Relief Efforts. This was made possible with Thailand A+ as well as MBLAQSG. Below is a screencap of the donation. cant the come perform in the US ?? We need as much as we can get, to purchase the 100kg rice weath, as stated above. If you would like to donate, we welcome any amount. Thank you.